Members of Scotts Bluff Chapter #1346 invite you to Nebraska Questers State Day - April 12 and 13, 2019 - "Lighting the Trail" (open "2019 Nebraska State Day Information" in sub menu of News Releases) An informal get-together will be held on Friday evening from 5:00 - 7:00 at Legacy of the Plains Museum in Gering with hors d'oeuvres and wine. Saturday will include coffee hour with Questers Antique Therapy Shopping and Silent Auction, two fascinating programs about local people of the area, the general meeting, luncheon, installation of officers, and invitation to State Day 2020. A field trip to the Rubidoux Trading Post with historian Barb Netherland will round out the day. We look forward to seeing all of you at State Day 2019 in beautiful western Nebraska. ​Questers Chapter Scotts Bluff #1346 was chartered October 19, 1999 by seven ladies, and two gentlemen who joined to help make up the required number of members to charter a new Questers Chapter. Interest quickly grew in this newly formed group, so membership grew. When the membership became more than could meet comfortably in private home, new chapters were started. Scotts Bluff #1346 sponsored two new chapters: Scotts Girls #1420 on December 27, 2003 and Dome Rockers # 1487 on October 12, 2010. Today, Scotts Bluff #1346 has 29 members. Fur Trapper Hiram Scott, who was returning to St. Louis from the mountains, died at the base of a section of the bluff. 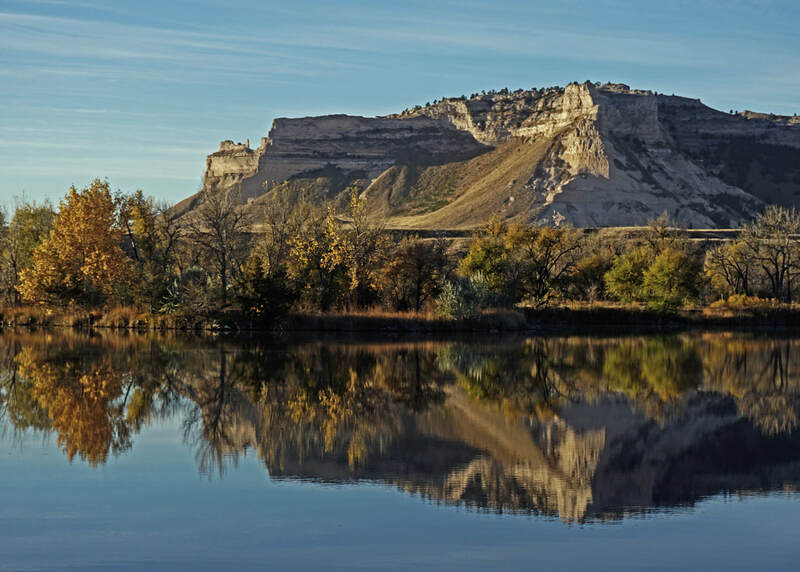 Since it was known that this area was particularly important to Scott, the range of bluffs became known by the local people as Scott’s bluffs, hence the name of Scotts Bluff National Monument, the County of Scotts Bluff, and the City of Scottsbluff, Nebraska. Mitchell Pass, a break in the bluff, was later used by the Pony Express and the transcontinental telegraph system. ​Grace Blowers lives in Loveland, Colorado. ​​To celebrate Christmas every year we enter the “Trees Along the Trail Christmas Tree Contest”, which is for non-profit organizations only at the Legacy of the Plains Museum. The money we make from this event each year has been designated as extra money for our chapter and donated to the International Questers' Preservation and Restoration fund. ​​Our three local Questers Chapters usually have at least one special combined group meeting each year. 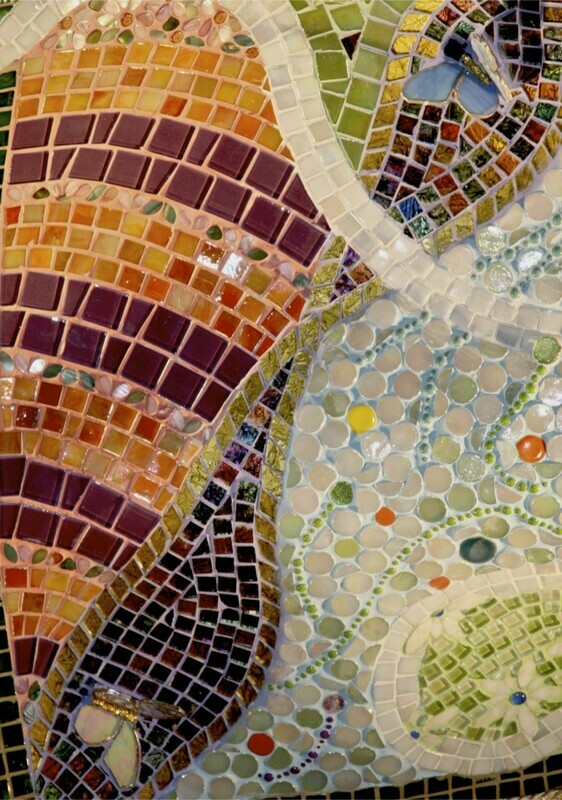 This spring, Scotts Bluff #1346 hosted that event at the West Nebraska Art Center. Jann gave a great explanation of the history of the “English High Tea”. Lunch was prepared and served in accordance to social rules regarding that event in early England. The tables were set elegantly, with fine china shared by individual members of Scotts Bluff #1346. 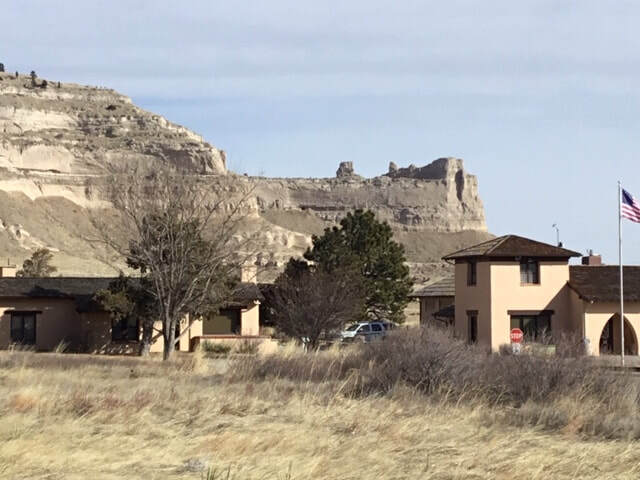 The first picture in the top row of the header is Scotts Bluff National Monument, located in the Nebraska Panhandle along the North Platte River, just west of Gering. This unique range of bluffs, which dominates the skyline in this part of the state, is rich in historical significance. Early explorers and fur trappers blazed a trail along the North Platte River and the bluffs which was later followed by thousands of immigrants on their way to Utah, Oregon and California in the mid 1840’s and early 1850’s. Photo by Rick Meyers. The second picture in the top row of the header is a herd of Rocky Mountain Bighorn Sheep on a hillside, often sighted just south of Gering, around Cedar Canyon and in the Wild Cat Hills. You can find an array of different wild life in this area. A visit to The Wild Cat Hills State Recreation Area and Nature Center and the surrounding area offers a murid of different entertainment options. Enjoy indoor interactive displays at the center, and explore part of the 1084 acres of wilderness located just south of Gering on Hwy. 71. Take advantage of the beautiful sites. There are three and a half miles of nature trails where bird-watchers, back-packers, hikers, or bikers are welcome. For those interested, there are archery and shooting opportunities and even some hunting. To get a complete explanation of this awesome State Park, visit their website. Photo by Rick Meyers. The third picture in the top row of the header is of the Midwest Theater. On March 5, 1945, the Egyptian Theater in Scottsbluff was destroyed by a fire, and the owner, William H. Ostenberg Jr., decided to build a really grand theater right on that same site. The burned-out theater site was cleared and the new Midwest Theater was built in just over a year’s time. Charles D. Strong, a prominent Denver, Colorado architect, was hired to draw the design plans for the theater, and was told it needed to be something spectacular! The new Midwest Theater opened on May 3, 1946 with great fanfare, lots of media attention, and a big celebration! The whole community was excited! The Scottsbluff Star Herald even published an eight page Midwest Theater Edition. The theater has had a long and interesting history, and it’s important to note that everything was done to preserve the theater in its original state. 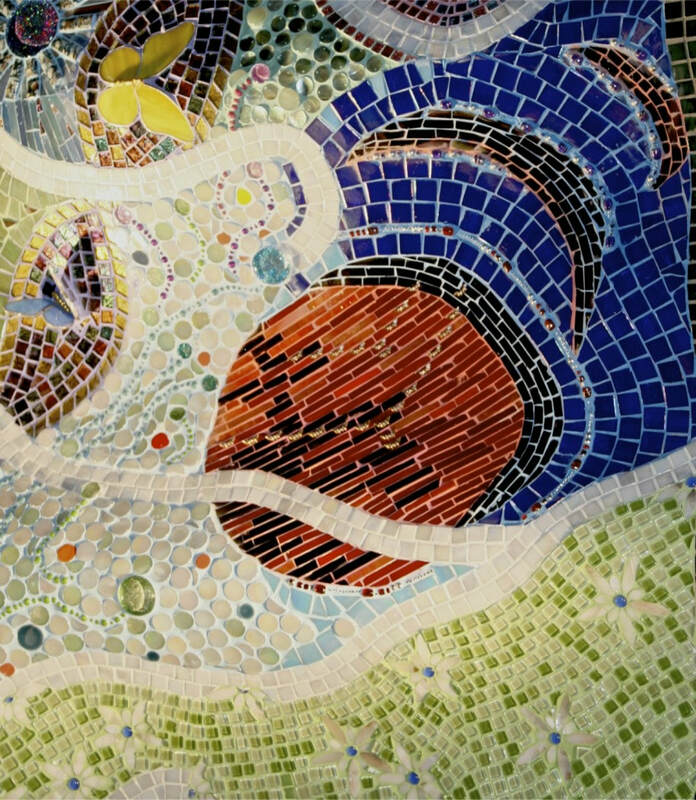 In September, 1996, the Friends of Midwest Theater took over management, and with strong community support the theater still provides the people with a unique setting to enjoy movies, special events of all kinds, children’s shows, and an expansive variety of live entertainment all year long. 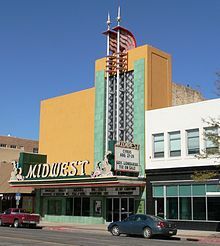 The Historic Midwest Theater was placed on the National Registry of Historic Places in 1997. The first picture in the bottom row of the header is Legacy of the Plains Museum. Located on the Historic Oregon Trail just outside Gering, NE., the Legacy of the Plains Museum features an impressive collection of pioneer and early community artifacts. Learn about life on the prairie, stories of early settlers, the challenges of farming and irrigation, rural community development, the diversity of cultures represented, and much more. Situated on an 80-acre working farm, right next to the Scotts Bluff National Monument, the landscape offers a treat in itself. Among the many events celebrated at the Legacy of the Plains each year is the Fall Harvest Festival in September; an event that draws huge crowds from other states as well as other countries. Visitors will want to check this out, as well as a variety of other events. The second picture in the bottom row of the head is the Oregon Trail and Visitors Center. 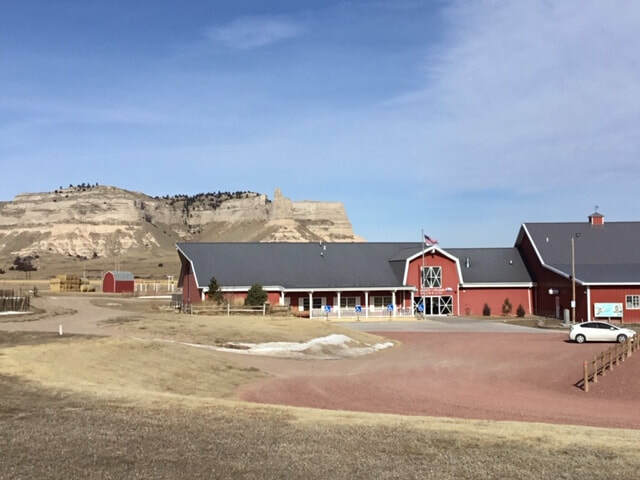 Located at the base of Scotts Bluff National Monument in Gering, the Oregon Trail Museum and Visitors Center is a National historic structure. The Center was built in phases from 1935-1949. The Center is actually closed now for renovation and expansion. The Center houses exhibits of America’s westward expansion, displaying weapons and tools of pioneers, heirlooms such as glassware, diaries, children’s toys and other treasurers. The Center has a large collection of William Henry Jackson’ drawings and paintings, many of these depicting scenes from the lives of the pioneers. 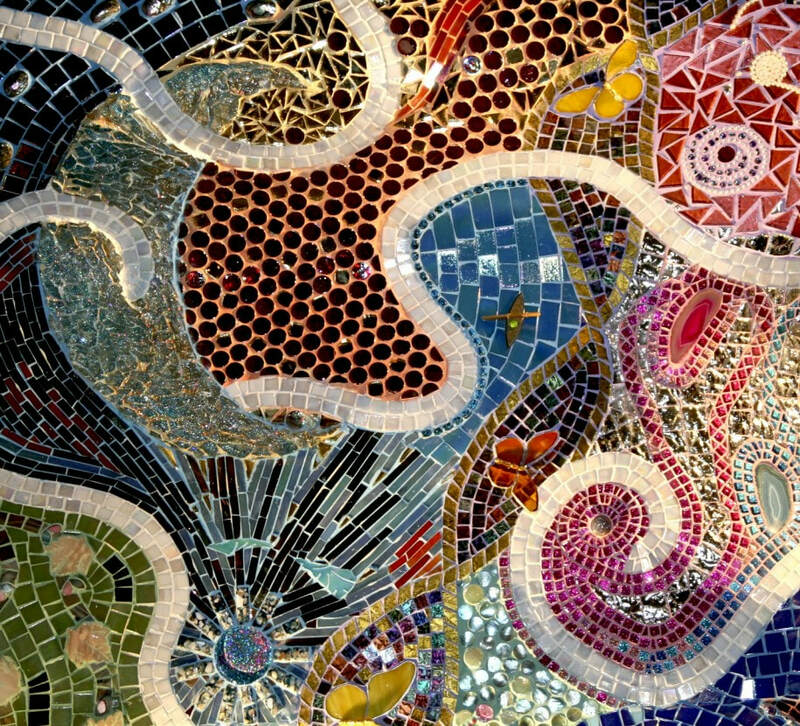 Also, at this center you will see a display of the geologic and paleontological history of the area. Even though the Center will be closed for a while, the park grounds, trails and the Summit Road are accessible. It’s popular sport to hike up to the top of the “Bluff.” What a beautiful sight! The third picture in the bottom row is of the Robidoux Trading Center. 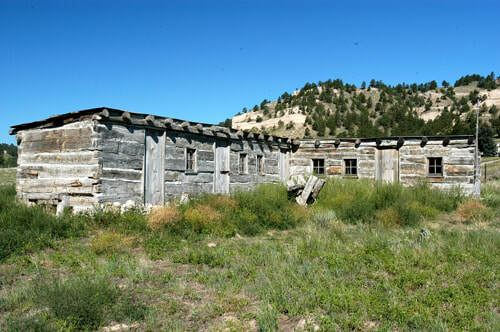 The Robidoux family, famous mountain men and traders, operated a blacksmith shop and trading post for Oregon-California trail emigrants near the west end of a site known today as Robidoux Pass. They also maintained a trading post at a site known today as Carter Canyon and sometimes referred to as "the second Robidoux post" although the posts may have been operating simultaneously. This is a photo of the reconstructed post (1993) on the Carter Canyon site, where tourists can peek into the past in this beautiful, scenic location. Builders used an 1851 sketch drawn by Heinrich Mullhausen as a guide for the reconstruction.